Due to the warm weather, i wasn't able to finish my Cherry Blossom Blanket, way too hot to work on having a fabric of 140cm by 180cm on my lap! 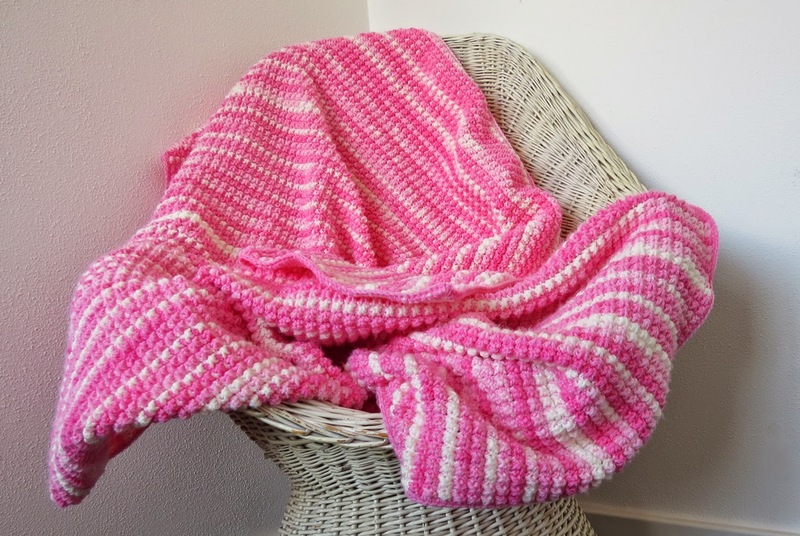 Since a couple of days the temperature has fallen, so i took the blanket and finished it. Here it is n all its glory:) The stitch i used was my Bubblewrap stitch, it took 22 skeins of 100 grams to make it. It's quite heavy... The finished size is 140cm by 200cm. It's going to my granddaughter for her new bed, she's very excited to get it. In my experience the edges of crochet and knitted blankets are always difficult to finish. The sides are not straight and often flaired or curled. I have come up with an edge, that works quite nicely, at least for crochet. I haven't tried it yet in knitting. I made a phototutorial on how-to. As always, the photos from top left to bottom right. Photo 1: Make slipstitches on the right side across the blanket, chain 1 in the corners. Turn the work. Photo 2: Make slipstitches on the wrong side in the SAME place as the other round of slipstitches, again chain 1 in the corners. Turn the work. Photo 3. Single crochet across the blanket in the SAME place as the first slipstitches. 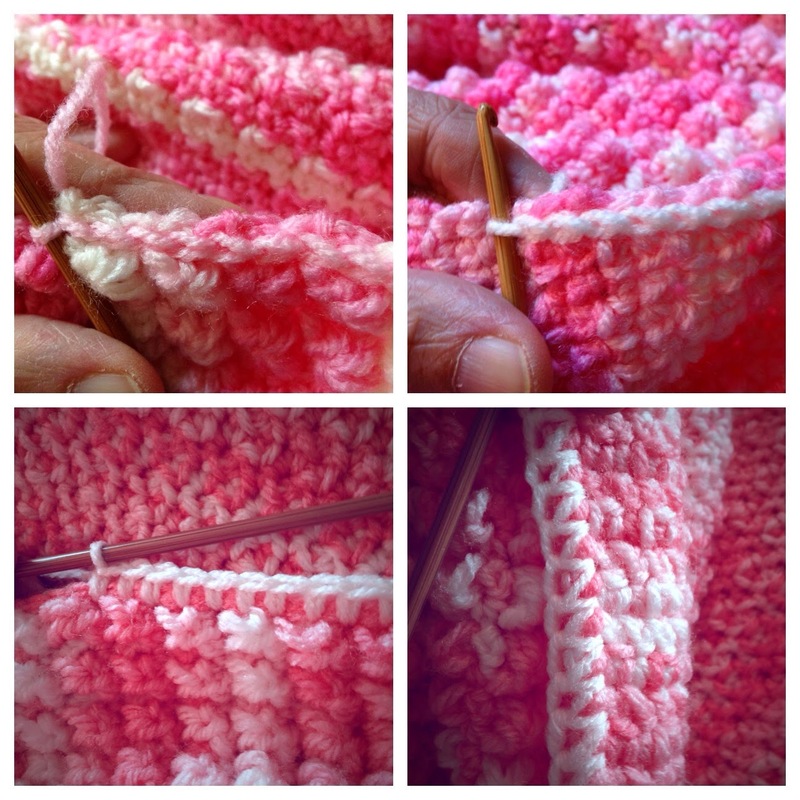 In the corners: single crochet, chain 1, single crochet, chain 1, single crochet. Photo 4: This is how the back should look. I hope you enjoy using this way of edging! Thank hou! Hope it works for you too!